Our first time in Morocco: a trip we’ve dreamed of. Arabian nights, amazing food and our first cultural shock. Since we started our Love and Road journey we talked and planned to travel to Morocco. In my mind this would be an interesting and unique experience. Turned out, our first time in Morocco has become our first cultural shock and took us a few days to start enjoying the magic behind this ancient country. If you are following our adventure, you already know that we arrived in Marrakech straight from a 24h layover. If you are new here you get all the info about How to wait for a flight?Hit and miss here. So, we were exhausted, hungry, sweaty and in a completely strange country. On the arrival I made a big mistake telling the customs officer that I am a journalist. He started questioning me, what I was doing there, if I had video cameras, if I was working for a company… He just stopped when I insisted I was only on holidays with my husband, and pointed Rob in the queue behind me. Definitely not a good welcome! Bags collected, money changed, and shuttle bus… 40 minutes after landing we were in our way to Medina, the heart of Marrakech. My dream trip was coming true. Our first time in Morocco! Camels, olive trees, orange trees, the walls of the old town, a new scenery in front of my eyes. I´m not sure, I guess we dropped from the bus around 11am. At the same moment we put our feet outside the bus a bunch of young boys, man, taxi drives, all of them came to us in a rush trying to give advice, take us to the correct place “just because they were kind”, or show us the city… I knew it was going to be that way but I wasn’t prepared. My first thought was to scream “Go away!” I don’t know how to explain but I just hate to be cornered. I didn’t want to be impolite, neither rude but I was super tired and the last thing I wanted was to fall in some Moroccan tourist scam that I read about it. The walk till the Riad was really hard for me. You know I’m brazilian, I’m used to poverty, simple life, favelas, people begging… But again: I wasn’t prepared for that. I felt sadness invading my heart. 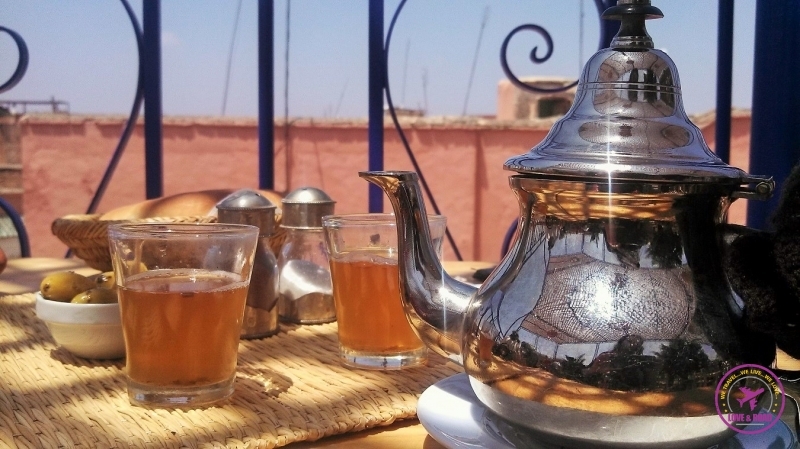 Our first time in Morocco was a tough lesson to me, my first cultural shock! Thank God the Riad was clean, pretty and the people were very welcoming. By that time I was so disappointed with my dream trip that my biggest desire was a shower, a hug and a bed. I got more than that, the lovely lady from the hostel gave me a cheerful breakfast. — Baby, let’s give it a try. I know we didn’t have a good first impression. But let’s go out for dinner. Let’s relax and try to enjoy! We were so fool, we left the hostel just with the money belt. No cameras, no bags, afraid that the city was unsafe and dangerous. 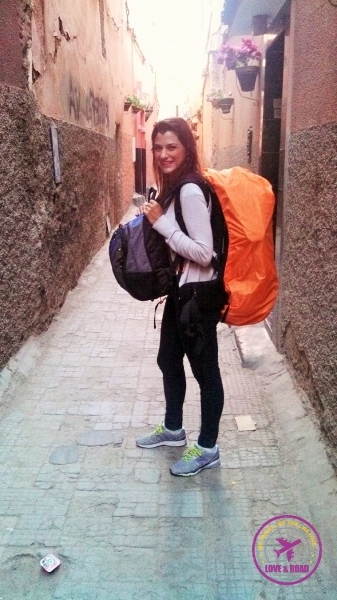 As soon as we left the Riad´’s small alley we dived in a completely different world. Suddenly I was in the middle of an Arabian night. Music, sultans, teas, scents, flavours and colors. 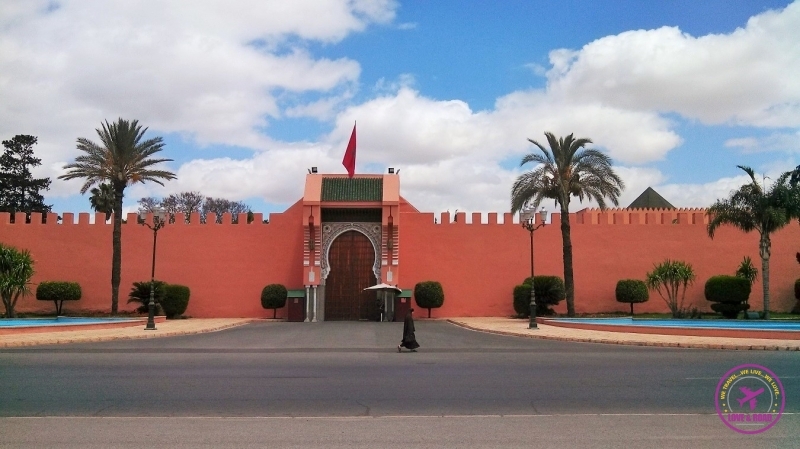 A new Marrakesh, my dreamed trip. Unbelievable, I was feeling safe, full of energy, enchanted by all that smoke, sounds and magical atmosphere. Even the “business man” trying to sell their stuff or trying to help us were nicer and less aggressive. I strongly recommend to arrive in Marrakech at night. In the middle of Medina there is Jemaa el-Fnaa Square, the best part of Marrakech. Food stalls, tea makers, dancers, serpent enchanters and myself in ecstasy!! A smiling guy from the restaurant nº 26 came to us talking in italian, we laughed, he tried spanish, failed again. He smiled and shouted: Brazil! He nailed it! In less than three seconds he shooke hands with Rob and we promised to come back for dinner. They are masters in the art of selling and negotiating! It is incredible! One more stroll around we were back to our friend’s food stall. I feel sad that I don’t remember his name, but he and his food were one of the turning points of this trip. That meal and that night led us to a new world. A special and unique world you can only find in Morocco! My dream trip with Arabian nights, sultans and scented teas was just kicking off! Abraco , show de bola a parada !!! Se eles “pilotam” os navios da mesma forma que dirigem os carros acontecem poucos acidentes! HEY what an experience! I love Marrakech and all it represents. I can understand that you being Brazilian, associate the image of “comunidade / favela” to Moroccan Medinas. Yet the reality is totally different, life is different, culture and history are different. I love the way you describe your first contact with the city. I lived 1 year in Marrakech old Medina, and I enjoyed the experience. I will land in Marrakech after tomorrow (YES finally going back home) where I’ll stay 1 week before heading south. Big abraço and beijo all the way from China! kkk já sabem se um dia vierem a Marrocos de novo, please fiquem em nossa casa durante uns dias. É sempre bom receber viajantes simpáticos! After I few days I felt in love with Marrakech, but the first impression was hard… And that´s the great thing about travelling: Have the opportunity to learn new cultures, new people and new way of living!!! Thanks again for following our story! Maybe some day we visit you in Morocco! !